Steve Cubbage, 49, operates a fourth-generation farm with his father, Robert, in southwest Missouri, near Nevada. 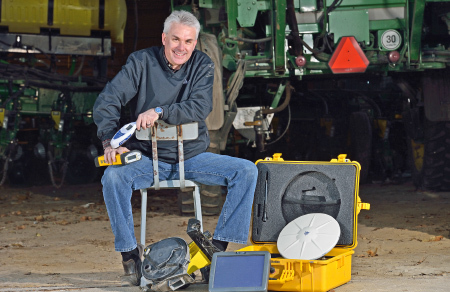 Steve also has a precision agriculture business called Record Harvest. 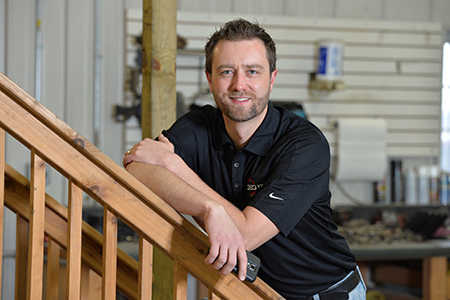 Two employees from that company, Justin Ogle and Brad Majors, have joined the farming venture. The 3,500-acre farm is primarily in a 50:50 corn/soybean rotation; 500 acres are planted to wheat followed by double-crop soybeans. Cubbage Farms seeds its open acres to cover crops to hold the soil in place. For 2015, Steve is using an UAV (drone) to scout fields and identify potential nutrient deficiencies that he can address in-season to boost bushels. Heath Whitmore, 38, operates Whitmore Farms in partnership with his father, Kirk, near St. Charles, Ark. They farm 1,200 acres total with about 500 acres in corn and the rest in soybeans, using both minimum tillage and no-till. The Whitmores push high yield production for Arkansas-soybeans average 75 bushels per acre; corn, 230 bushels. Their crops are 100 percent irrigated, all row watered from wells and reservoirs; most wells are 150 to 175 feet deep. The Whitmore family farm turned 100 years old in 2015. Grant Strom, 33, operates Strom Farms in partnership with his wife, Kristen, and parents, Doug and Marsha Strom, near Dahinda, Ill. They grow 5,500 acres of corn and soybeans in a 60-40 rotation. Farm acreage varies widely and includes flat prairie soils, rolling ground, floodable river bottoms, and timber and clay soils, with moderate to high fertility. The Stroms take into consideration rotation, slope, fertility and soil type as they plan each year's crops. Strom grows traited and non-traited corn, commercial soybeans and seed beans. In addition, the family produces a few litters of pigs each year for 4-H members to raise and show. Grain storage is integral to the Strom operation, which can store 100 percent of its corn and 75 percent of its soybeans. 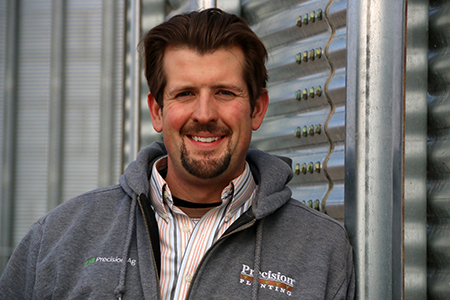 Ben Pederson, 33, operates Pederson Farms in partnership with his father, Gary, near Lake Mills, Iowa. 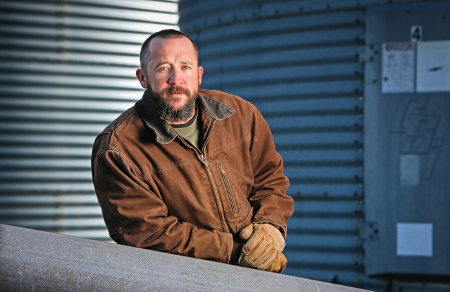 The third-generation farmer raises corn and soybeans on approximately 3,000 acres. Strip tillage is used extensively on the Pederson farm as part of the family's work to increase sustainability through improved soil health. The Pedersons began experimenting with cover crops in 2013 when weather that year caused many acres of prevented planting. The benefits they saw convinced them to start using cover crops on a regular basis. Ben is vigilant about weed control. He overlaps residual herbicides and uses multiple sites-of-action active ingredients to stay ahead of grass and broadleaf weeds, especially waterhemp.